If ever a city cried out for a specialist guide to the way it eats, it is Tokyo. It has countless thousands of restaurants, traditional food stores and gourmet boutiques, not to mention the fish market by which all others are measured. Accessing them, though, is another matter — especially for those short on time and language skills. Where to eat sushi in Tsukiji if you don’t want to wait in line? How to find the finest wagashiconfections, sake or shochu, handmade rice crackers or croissants to rival the best in Paris? 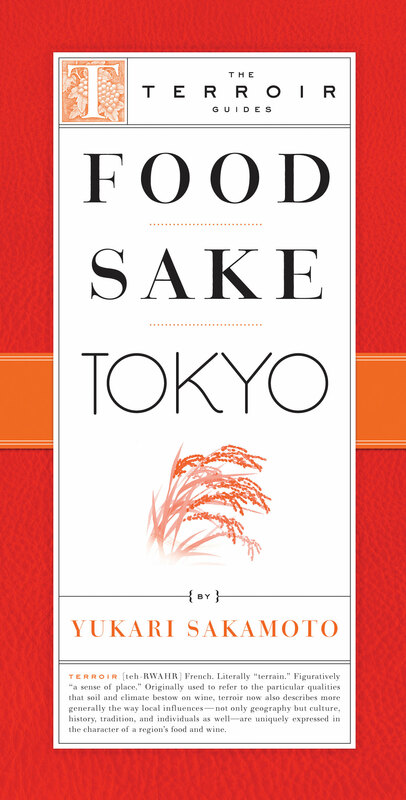 These conundrums and plenty more are answered in Yukari Sakamoto’s “Food Sake Tokyo,” the first proper English-language guide devoted specifically to eating and drinking in the megalopolis. Sakamoto has filled her little volume with all the intelligence she has gleaned over many years living and working in the city. She lists favorite food stores and restaurants — not just the high-end places feted by the name-brand guides but also plenty of humbler, local eateries — tying them in to specific neighborhoods and suggesting itineraries. She covers Ginza, Asakusa and Tsukiji, of course, but she also leads the way to less mainstream corners such as Tsukishima and Tsukudajima. The best depachika (department store basement food halls) are noted, as is Kappabashi, which is famous for its kitchen supplies and wax food models. This is a guide designed to be carried around in your pocket or day pack, so it would have helped if the font were rather more readable in the half-light of a traditional restaurant. But your time and wallet (and pocket) are likely to give out well before you exhaust all of the eating and drinking options that Tokyo has to offer.